It’s hard to know where to draw the line between rumour and hopes. A lot of rumours are spread about devices such as Android tablets as well as iPhones and iPads. 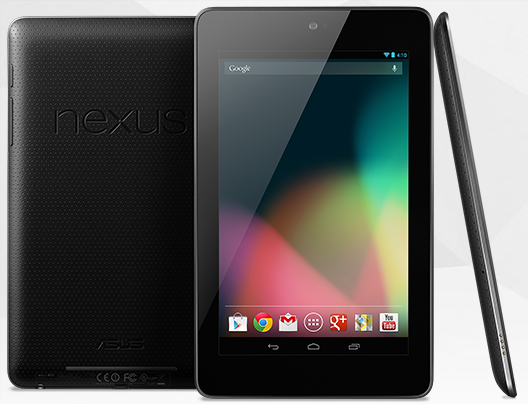 The latest relates to the relatively new Nexus 7 tablet from Google. The rumour hints that a 3G model will be arriving within weeks… as in sometime in September. Of course, nothing has been formally announced but I can see this happening as the iPad has an advantage over the Nexus 7 as it has 3G/4G connectivity on some of the models. It kind of makes sense that Google would want Nexus 7 users be able to connect up wherever they are. The rumour comes from MoDaCo who also indicated that no hardware changes, other than the 3G connectivity, have been made on the tablet. If this rumour does end up being correct, what I don’t know at the moment is how much extra it will add to the cost of the device. Apple adds £100 to the cost of the iPad if you opt to choose 3G/4G although this does add GPS to the device as well. I doubt Google will add £100 to the cost of the Nexus 7, but perhaps something closer to a £50 or £60 premium on the cost. Of course, I mentioned that I have no clue if this rumour is true or not although it does make sense that Google will want to compete and provide that function to users who want it. Of course, you can also use wireless tethering to another smartphone that offers it, so connecting on the move isn’t too far out of the question. If the rumour is correct, I’ll post more updates as I hear them.